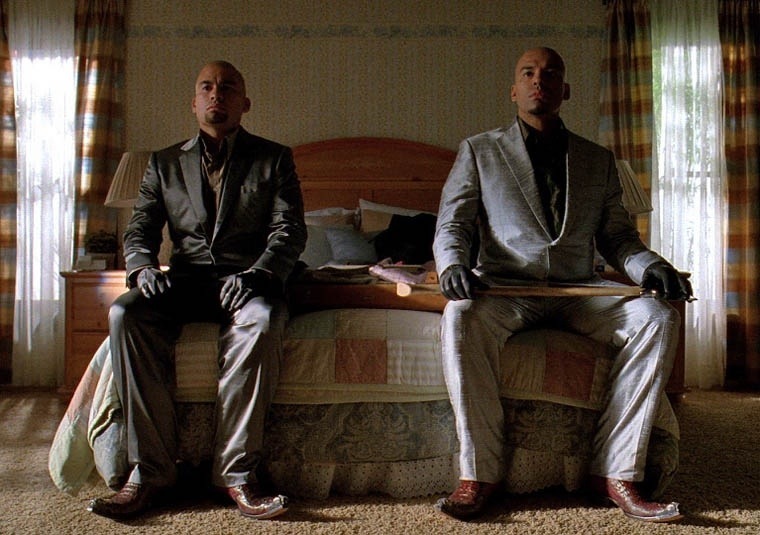 Sterling Silver, boot tips for “The Cousins” shown here on the white boots before they were dyed. 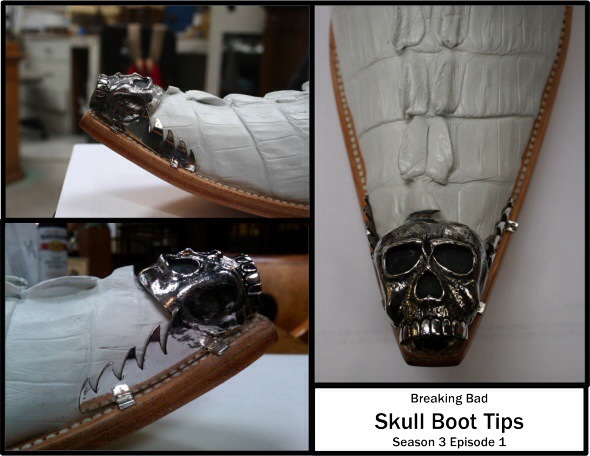 Bryan communicated with Vince Gilligan throughout the process of modeling the skull on these tips, with the original inspiration being Keith Richards’ signature skull ring. Oxidation of the silver highlights the details and gives the skulls their depth.